A few weeks ago we had the opportunity to be a part of a Father’s day surprise. 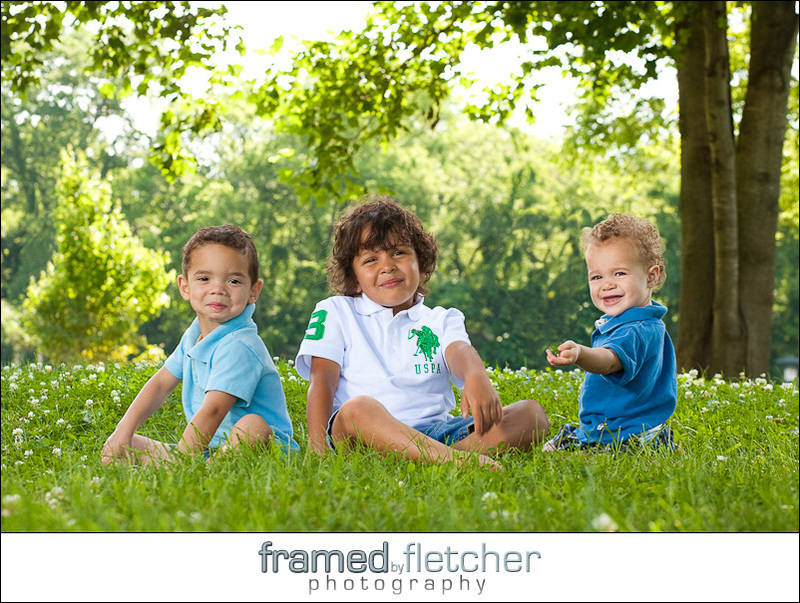 We met our friend and her 3 adorable boys at Pinkerton Park in Franklin, TN. The surprise was a photo of all three boys for their father. They were very cooperative and let us take what to them probably felt like hours of pictures and then they got to have fun and play on the playground (while still being followed by the camera!). It was a fun morning and we are so glad we got to be a part of this surprise! This past Saturday I had the pleasure of heading out to Westhaven in Franklin TN to shoot a family portrait session. Everyone was super friendly and it was quite fun trying to get the kids to smile naturally. I learned that Chuck E. Cheese is a bargaining chip that can be used with kids. I hope the family will cherish what we got for years to come.